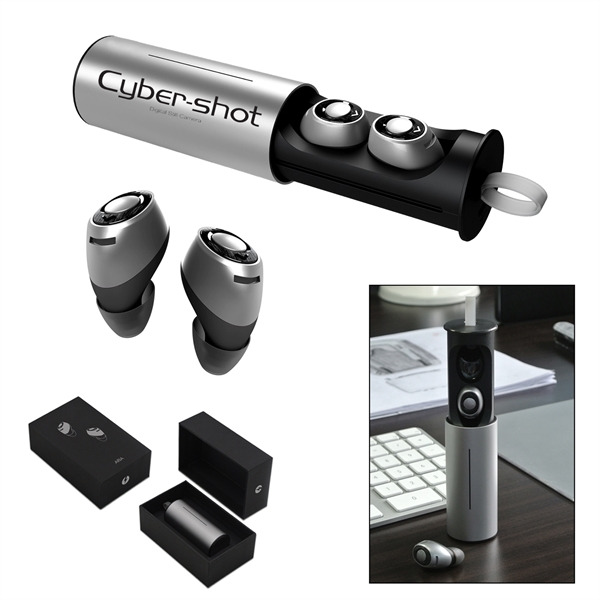 These true wireless stereo ear buds come with a noise cancellation feature to deliver great sound for up to 4 hours. They come with their own 400mAh charging storage case. It has built-in CVC 6.0 to reduce outside noises from microphone and excellent moisture resistance. Product size: 1.25" x 4" x 1.25". I'm interested in learning about the Aria Wireless Headset. Please contact me.